Whether you are recovering from injury, illness or looking to enhance your performance, being aware of postural tension in everyday life is the first step to making your body work better for you. Here at ATBodySense our Alexander Technique practitioners can help you use your body more efficiently and bring an awareness that leaves you free to take a step forward in your recovery or performance enhancement. Posture - improve posture naturally and gain freedom. Pain, illness and recovery - using Alexander Technique to help manage chronic pain, illness and aid recovery. Pre and post pregnancy - Alexander Technique can help you manage your changing body and recover after birth. General health and well-being - with Alexander Technique you can make your body work better for you; improving and sustaining your health and well-being. Performing artists - Alexander Technique teaches an efficiency of movement that paves the way to greater technical ability. Yoga - Alexander Technique looks at your individual structure to ensure you get the most out of your poses. Sports performance and injury - Alexander Technique can help with your overall sports performance as well as help in recovery of sports related injuries. 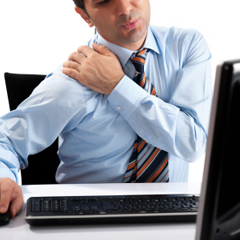 Workplace injuries - Alexander Technique strategies for reducing workplace stress and strain.